Get The Job Done, Then Have Some Fun Spending a day in the great outdoors is always more enjoyable when you’re sharing the experience with a friend. And that’s what Honda’s Pioneer 700 side-by-side is all about. 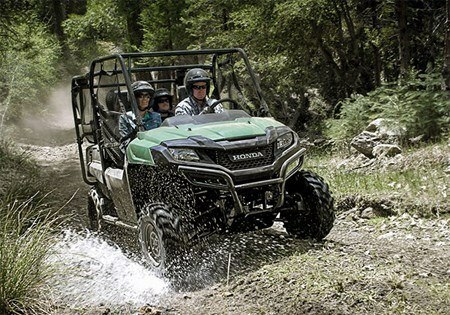 Whether it’s for work or for fun, the Pioneer 700 lets you bring a friend or helper along. 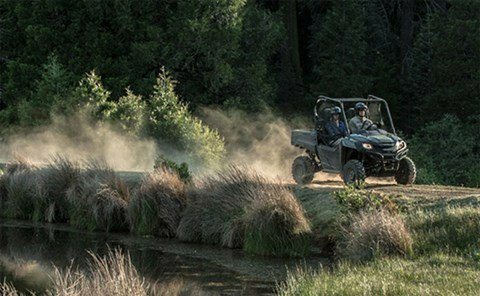 Introduced in 2014, the Pioneer 700 has proven to be a great tool for anyone whose workday or weekend takes them off the beaten path. And this year we’ve made it even better, with a new dual-rate suspension spring, designed to give you a smooth ride while still providing plenty of travel and superior load-carrying capacity. 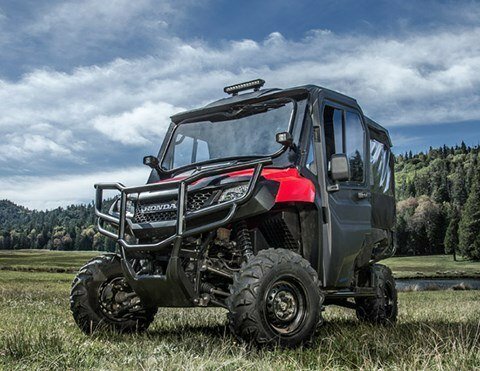 And while the Pioneer 700 is a versatile four-wheeler that’s loaded with features, if there’s one feature that makes the Pioneer 700 stand out, it’s something it’s missing: a big price tag. And that’s something that everyone can appreciate. Recommended for drivers 16 years of age and older. SxS’s are built to haul stuff, and the Pioneer 700 is ready to get to work. The bed capacity can haul up to 1,000 pounds. 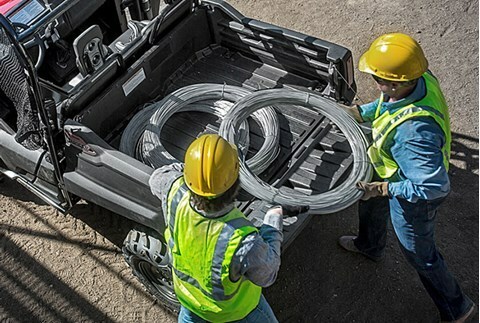 The Pioneer 700 has a heavy-duty two-inch receiver-style hitch and a 1,500-pound towing capacity. An innovative headlight has excellent balance and light-distribution, eliminating uneven light patterns and dark zones within the headlight’s lighting area. The liquid-cooled four-stroke single-cylinder has tons of torque and plenty of power. Fuel injection means it starts right up, even on cold days or at high altitude. An all-new intake design helps minimize dust and particulate ingestion. And the Pioneer 700’s engine is rubber-mounted on a separate subframe to reduce vibration. 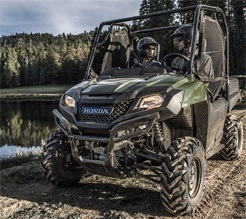 In addition to a fully independent rear suspension with 9.1 inches of travel, the rear shocks feature preload adjustability to handle the Pioneer 700’s generous load capabilities. 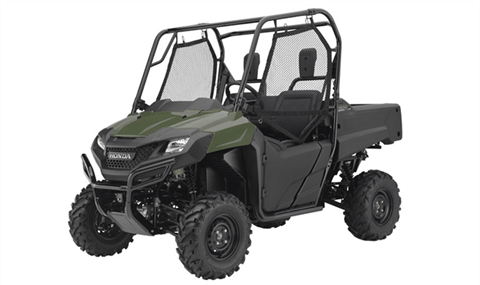 The Pioneer 700 comes with standard doors, featuring an automotive style double latching system securing you and your passengers in while keeping out what nature throws at you. 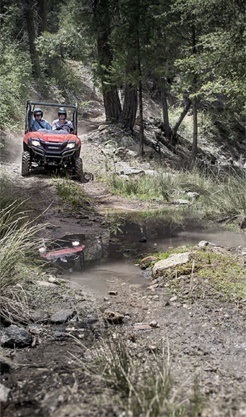 The Pioneer 700 features powerful triple disc brakes. On the two front 200mm brake discs, a patented scraper system helps prevent debris buildup between caliper and rim. An inboard-mounted rear 170mm brake disc saves weight and is better protected from rocks or other debris. A stout, heavy-duty torque converter with three hydraulic clutches and positive engine braking. It’s smart, too--it features a two-stage shift map to optimize power delivery through the engine's RPMs. Front independent double-wishbone suspension with new dual rate springs offering an excellent 7.9 inches of travel contributing to all-day riding comfort. 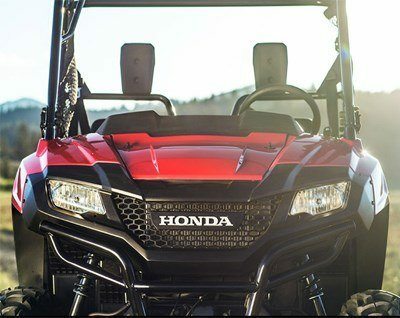 The Pioneer 700 features automotive-style three-point belts with an Emergency Locking Retractor mechanism to help keep you and your passenger safe and secure. The Pioneer 700 is built to work, and to make your big jobs easier we’ve equipped it with a tilt bed featuring a powerful hydraulic-assist strut. 1261 pounds - Includes all standard equipment, required fluids and full tank of fuel.